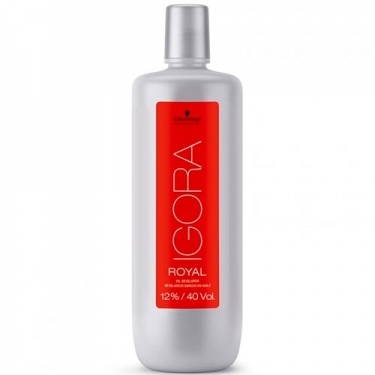 NAME: Igora Royal Oil Developer 40 Vol. 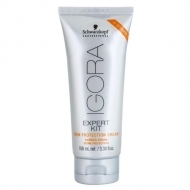 DESCRIPTION: Igora Royal Oil Developer 40 Vol from Schwarzkopf is a conditioning peroxide, a care optimized to work with the new IGORA ROYAL, but which can also be used with IGORA old. It should be used to illuminate up to five levels. 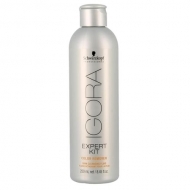 Its innovative Lipid Carrier System and increased oil content allow color pigments to penetrate faster into the hair, providing more intense and lasting color results. 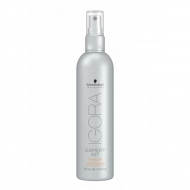 Provides a hair-wicking effect, providing more shine, perfect equalization of color from roots to tips, and better overall performance.